PreWedding | Magical |Akshay+Ayushi: It takes small reasons to bring two hearts together forever...! They met, they saw and won each other's heart. Please do watch, like and share this wonderful cinematic story. Location - #Ujjain (M.P. )_India Creative work by - #FotoMagica_Photography Team www.fotomagicaphotography.com Note: Songs that are synced with this video belong to its rightful and legal owners. No copyright infringement intended. Expressions of love and bonding were abound in the engagement ceremony of Sneha and Teja. Location - #Visakhapatnam (A.P.) Photography Team - FotoMagica Photography www.fotomagicaphotography.com Note: The song that is synced with this video belong to its rightful and legal owners. No copyright infringement intended. Location - #Lavasa, Maharashtra_India Creative work by - #FotoMagica_Photography Team www.fotomagicaphotography.com Note: The song that is synced with this video belong to its rightful and legal owners. No copyright infringement intended. Location - #Bhopal (M.P. )_India Creative work by - #FotoMagica_Photography Team www.fotomagicaphotography.com Note: Songs that are synced with this video belong to its rightful and legal owners. No copyright infringement intended. FotoMagica presents the most happening and it's one of a kind musical Wedding Invitation. Enjoy it :-) Please do watch, like and share it. Thanks FotoMagica The song that has been synced with this video belongs to its rightful owners. No copyright infringement intended. Thanks. FotoMagica presents to you the most fascinating never ending saga of Happy and Inu. Shot in the beautiful and serene surroundings of Bhopal (The City of Lakes). Some people call it a Love Saga, but for some it's a Fairy Tale. And we call it "HARKUSH" or "Inu Happy Ho Gayi". Please do watch, like and share it. Thanks FotoMagica The song that has been synced with this video belongs to its rightful owners. No copyright infringement intended. Thanks. FotoMagica presents you the cutest ever Love Story that we witnessed, it blossomed right from the childhood and now here are they getting married smiling and holding hand in hand. God bless them. FotoMagica presents you this Wedding Invitation made for Shivani and Siddharth. A sincere and a very different creative effort and it turned out to be so cool. It's a fresh and never tried concept. Please do watch, like and share it. Thanks FotoMagica The song that has been synced with this video belongs to its rightful owners. No copyright infringement intended. Thanks. We are a professional photography services company based in Bhopal . 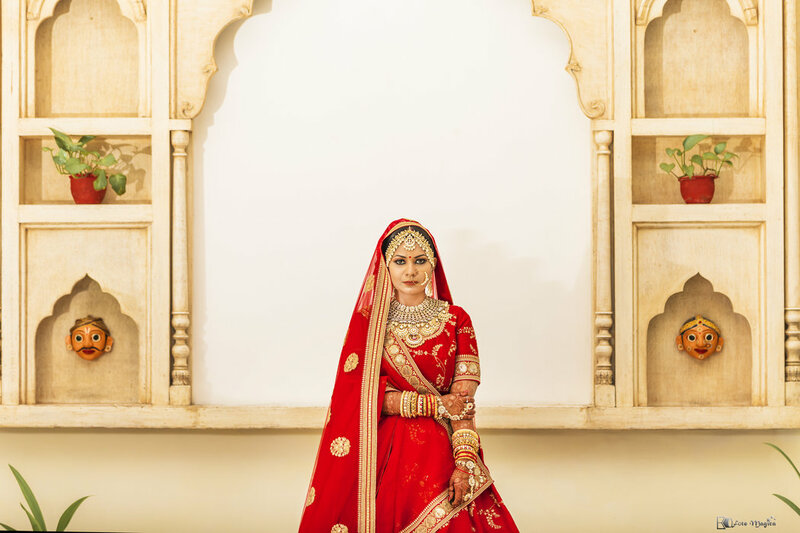 We have been running a professional photography business for 6 years, specializing in Candid Wedding, Muslim Wedding, Hindu Wedding, Wedding, Show & Pageant, Model Portfolio, Portraits, Fashion & Portfolio and Bridal Portraits photography. We undertake customized photography requirements. Some of our products and services include Photobook, Frames, CD / DVD, Poster, HD Highlights, Promo Videos, HD Videos, Coffee Mug, Calendar, Enlargement, Montage, T-Shirt, Live Streaming, Brochure, Blueray Disc, Coffee Table Book, Lamination and Shortfilms. We provide services in Madhya Pradesh and All Over India. We are proficient in Hindi and English. Divya and Shaan are amazing people. Both are equally cooperative, enthusiastic and Very innovative in their ideas. We Had an amazing time shooting with them. Your message was successfully sent to FotoMagica Photography. The Photographer may contact you soon.